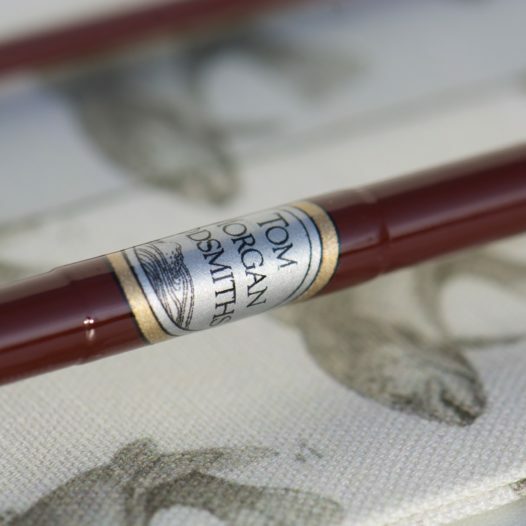 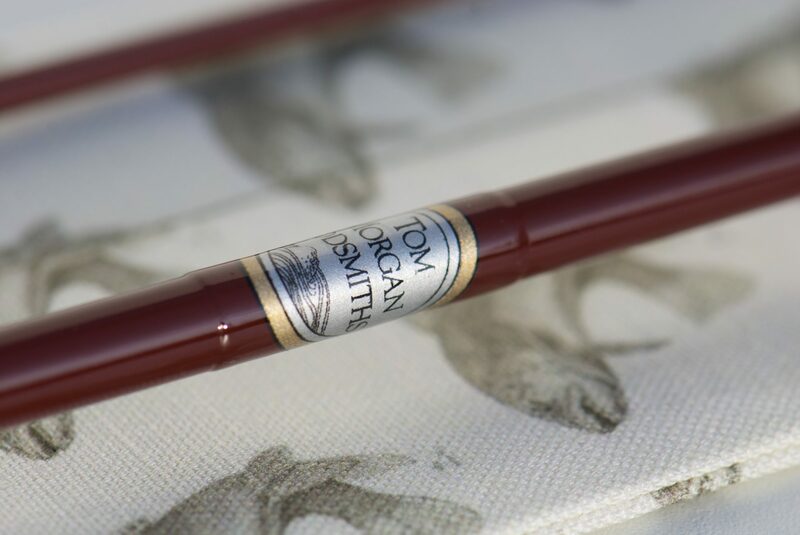 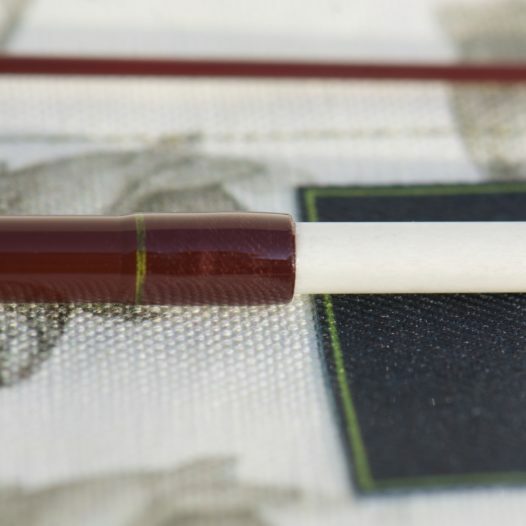 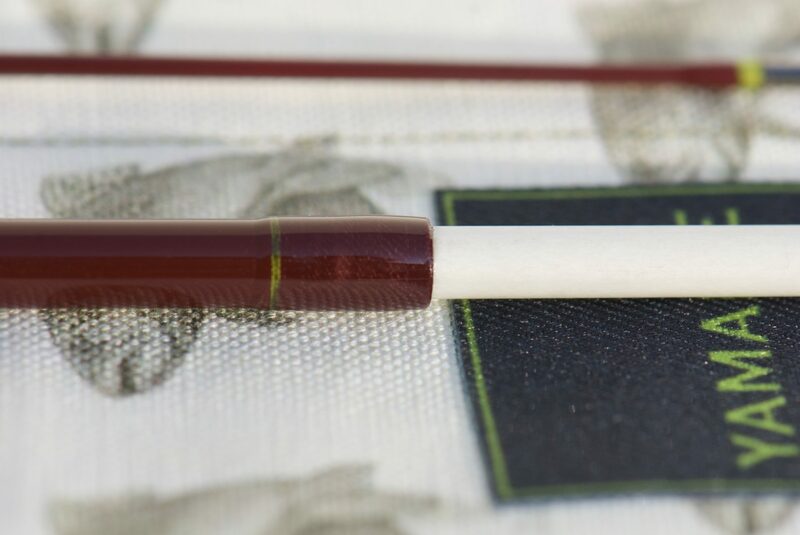 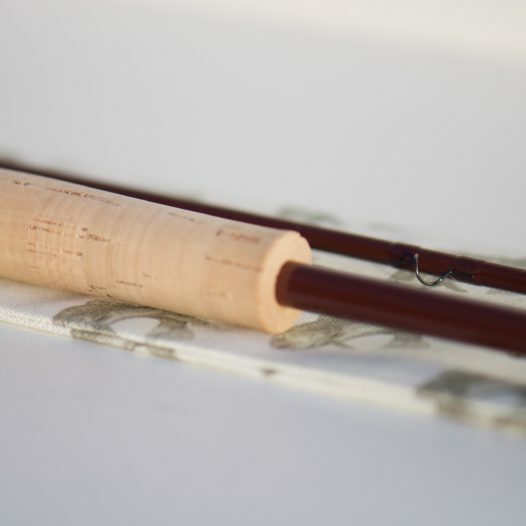 This is one of the smoothest rods I know, but still it has lots of power. 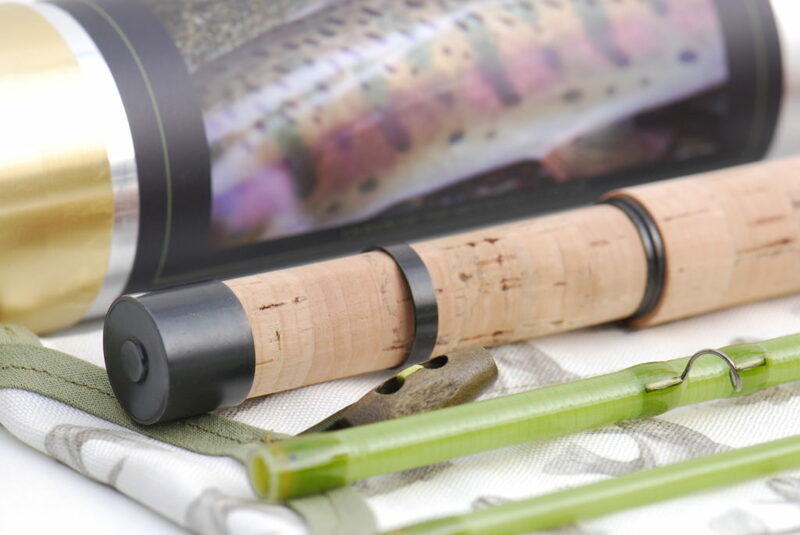 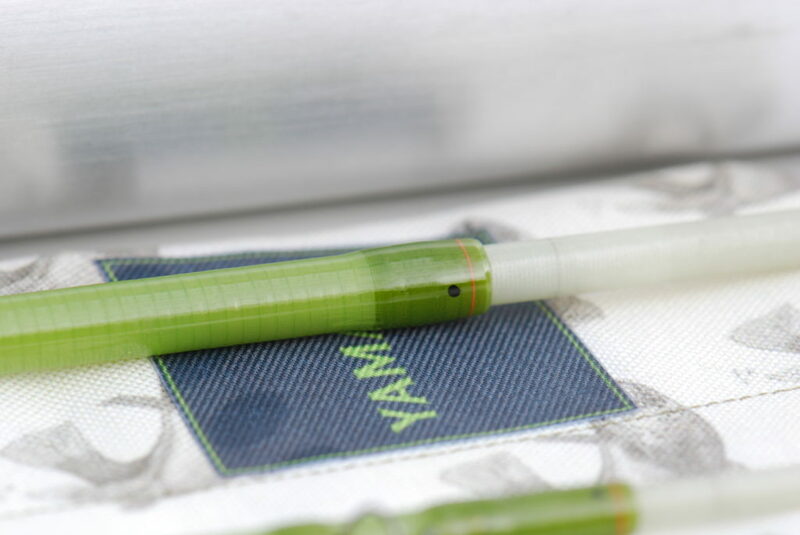 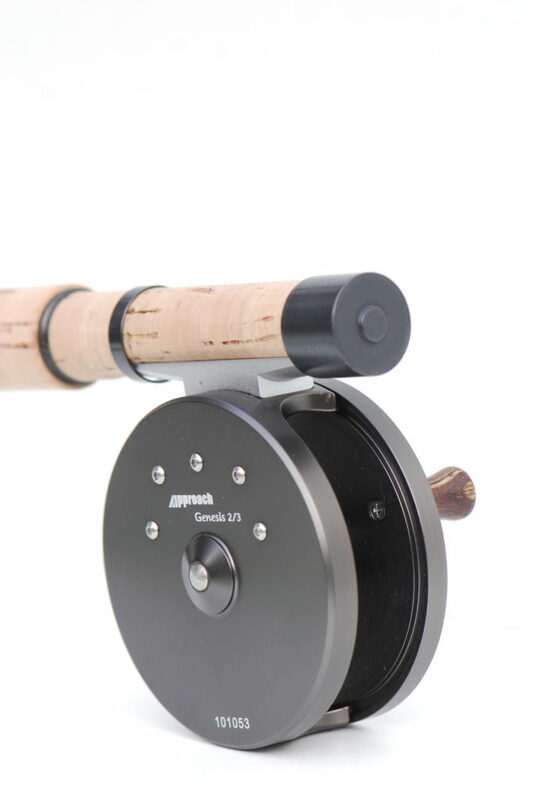 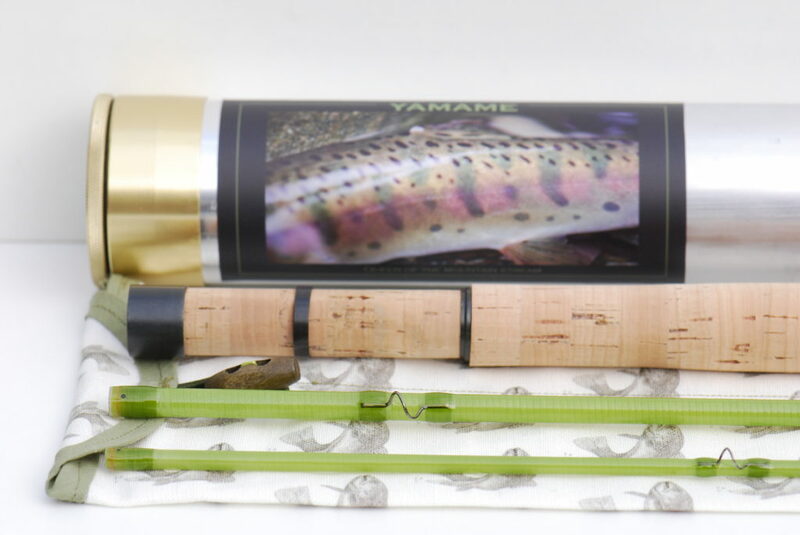 All the Yomogi rods are fun to fish with. 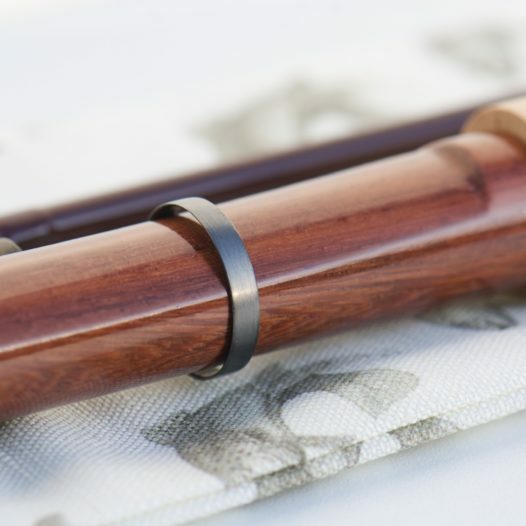 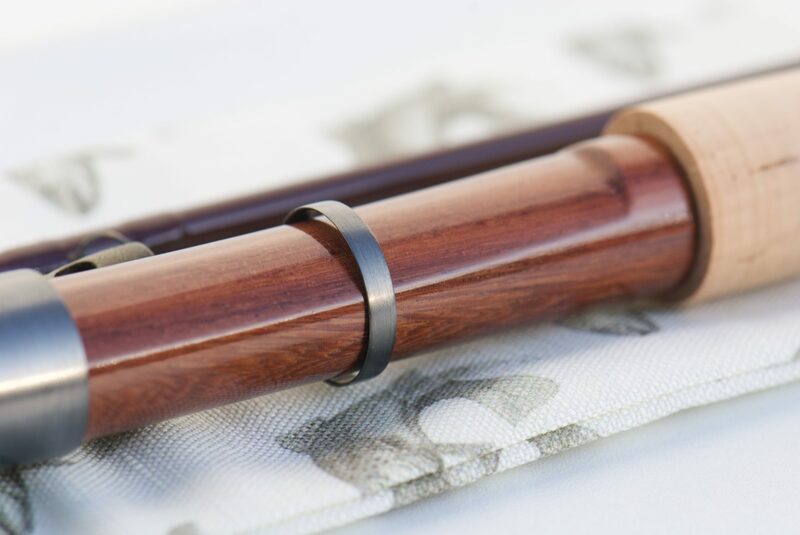 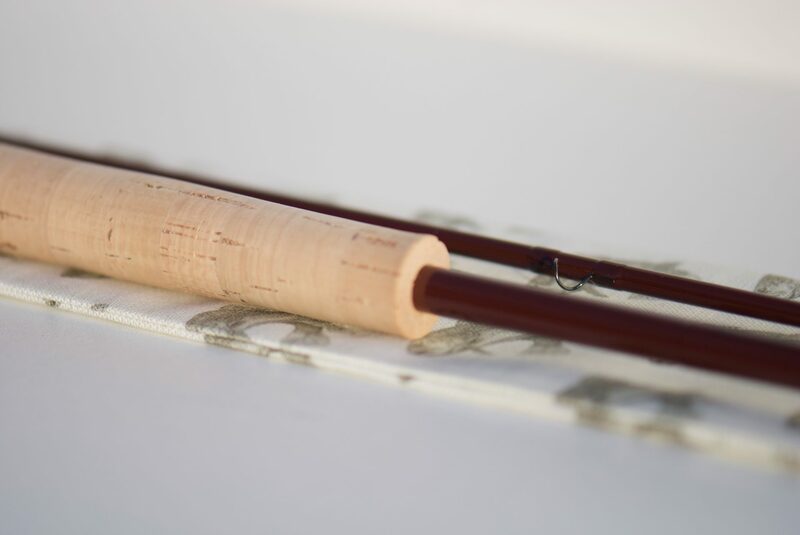 The rod is made with blued brass hardware, top flor grade cork grip and insert. 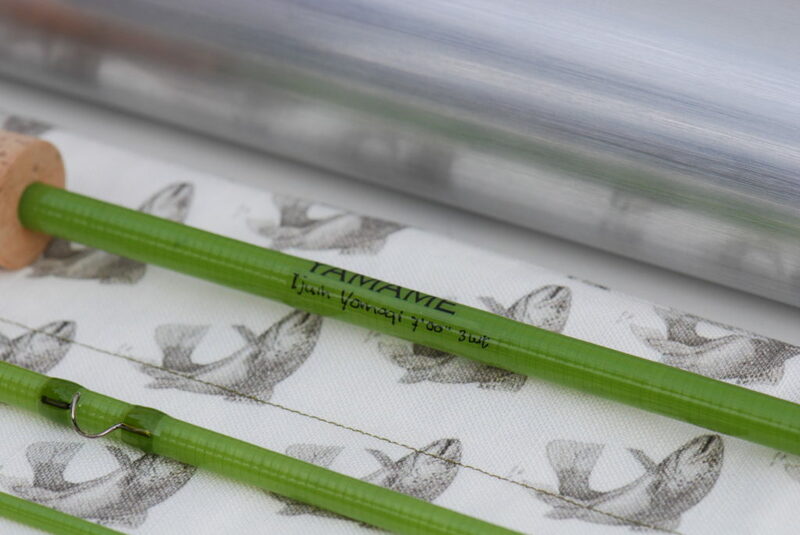 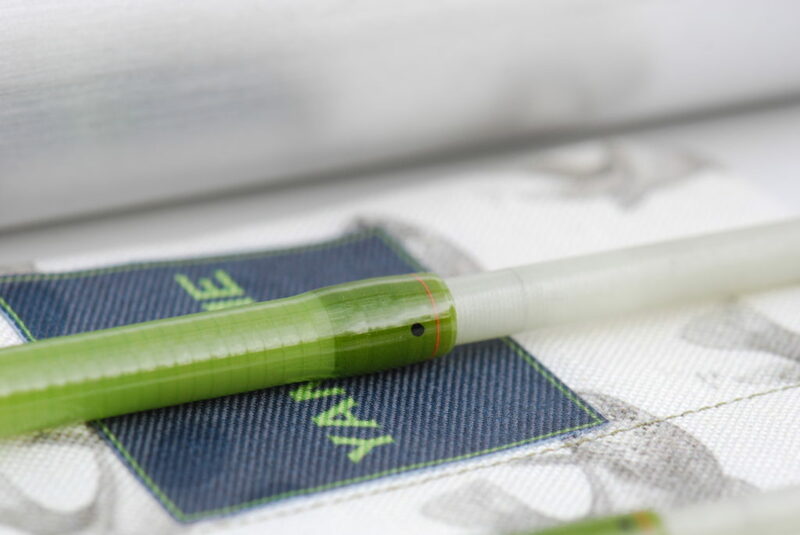 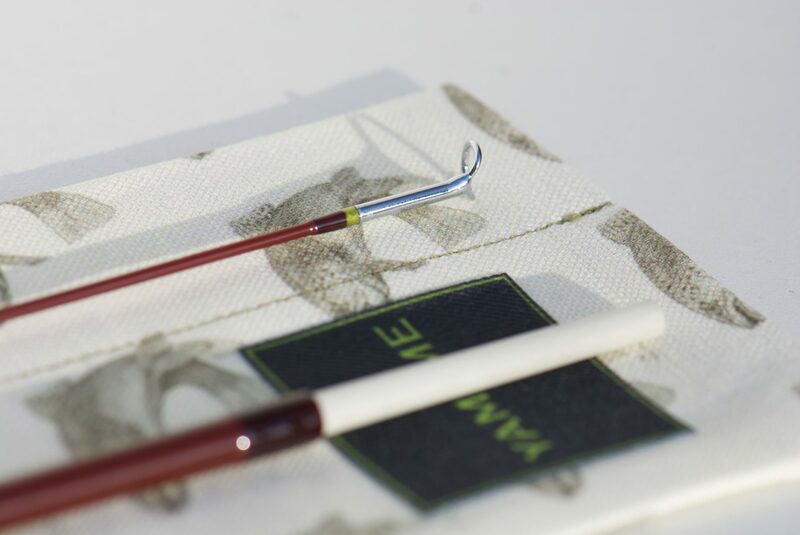 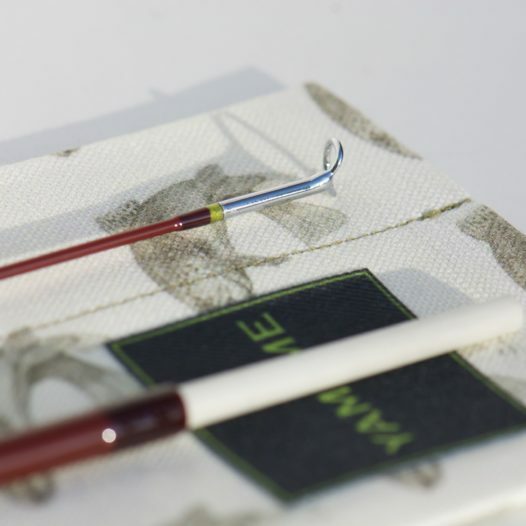 The dark nickel stripping guide and Original Snake brand guides are wrapped with Kimono silk colour Lime Ricci and orange tipping. 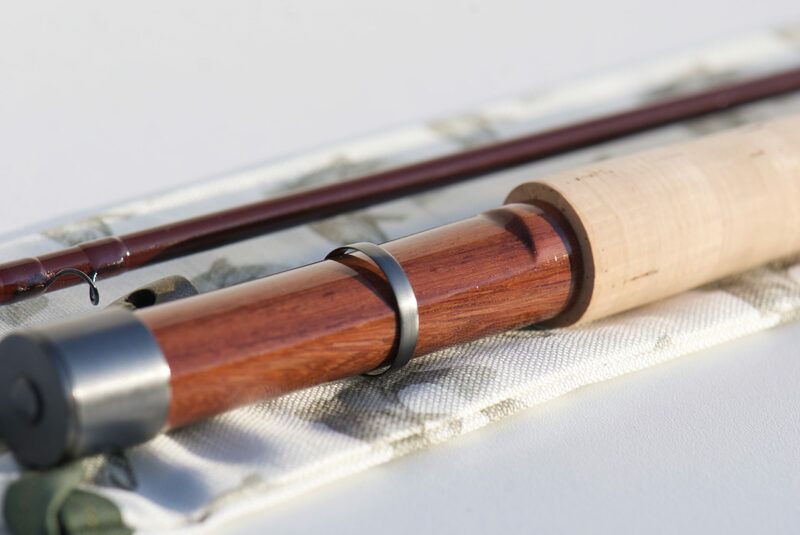 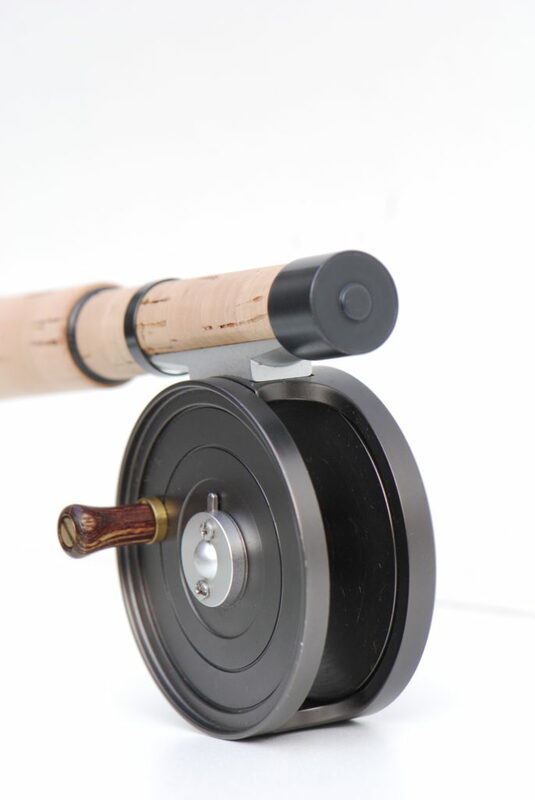 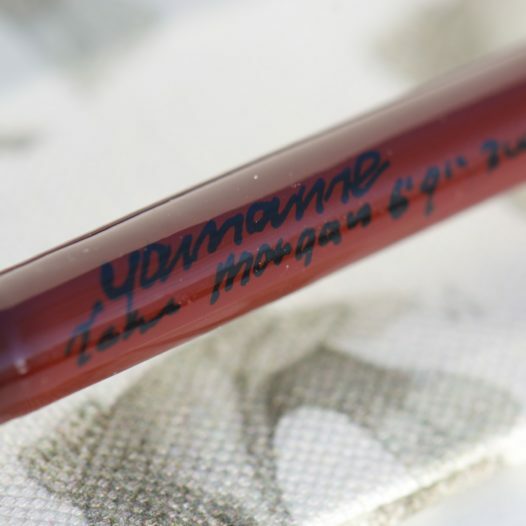 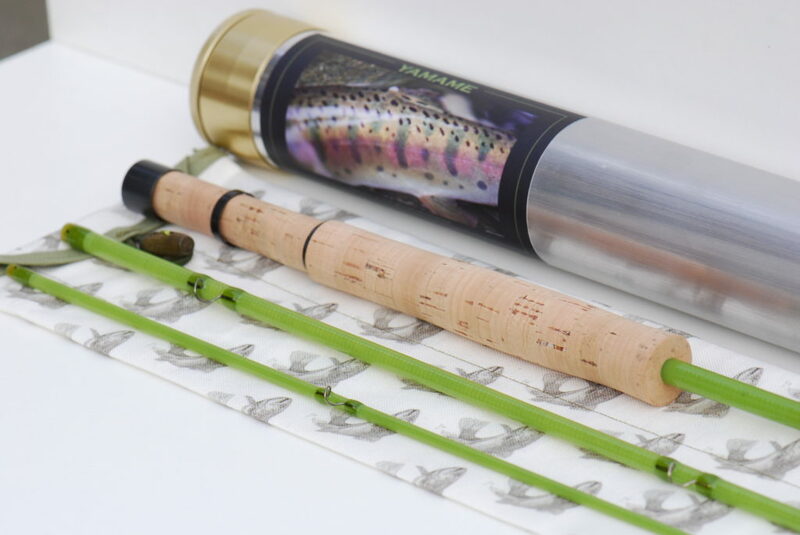 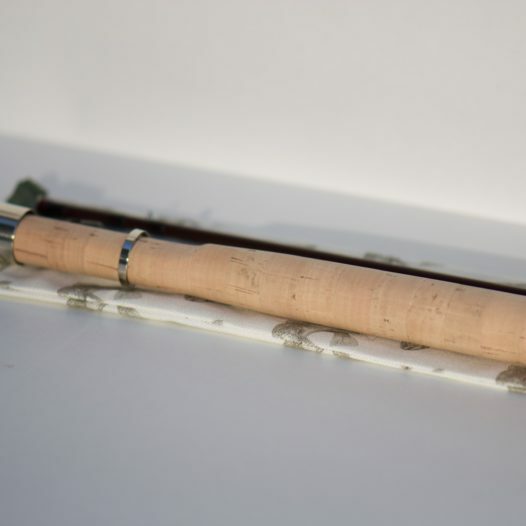 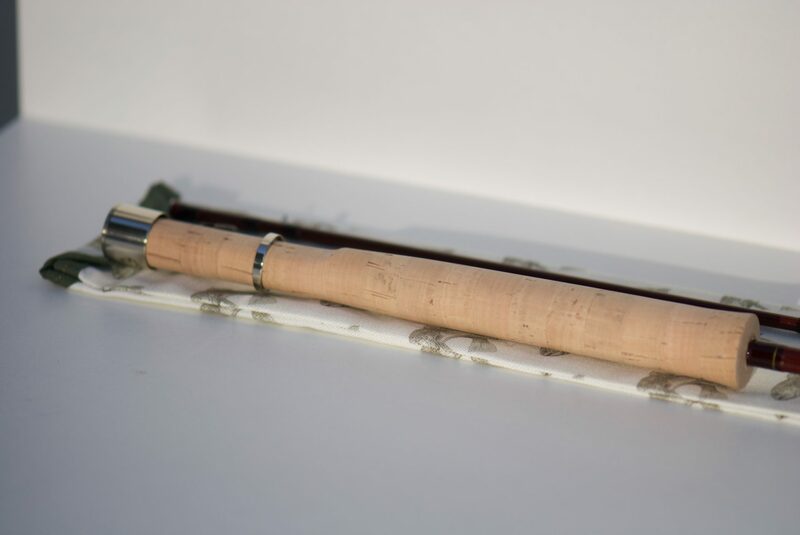 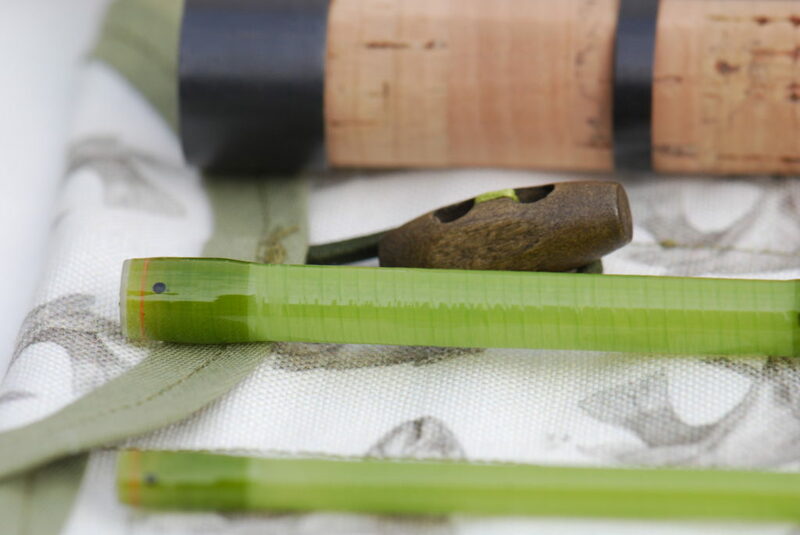 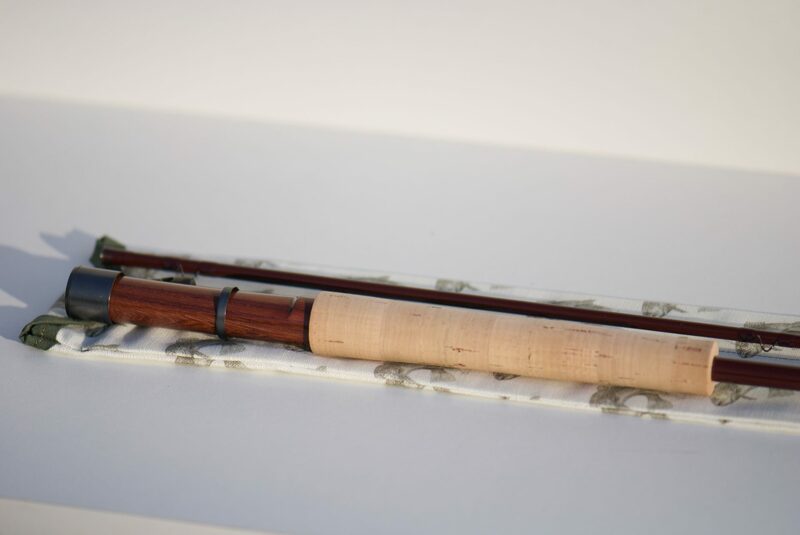 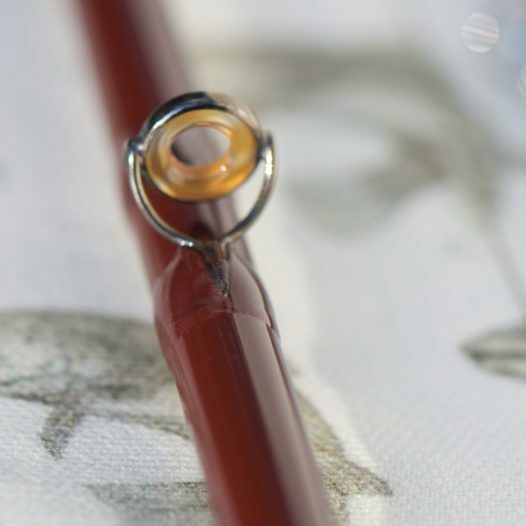 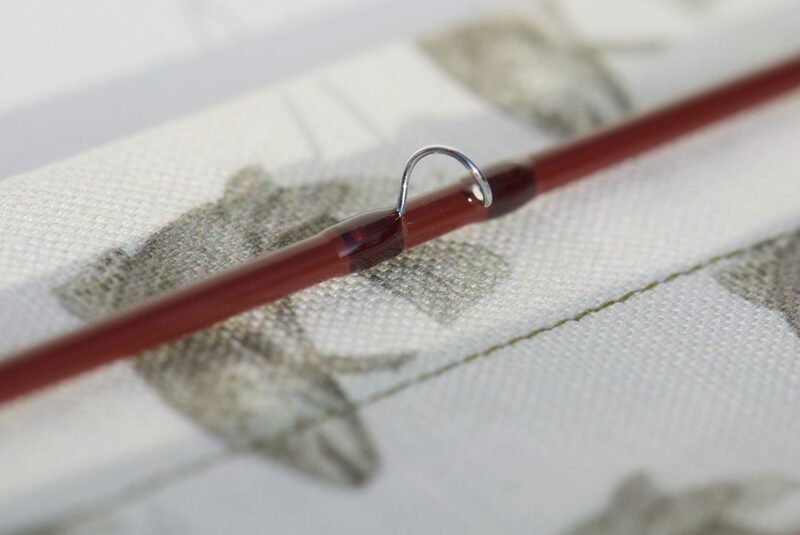 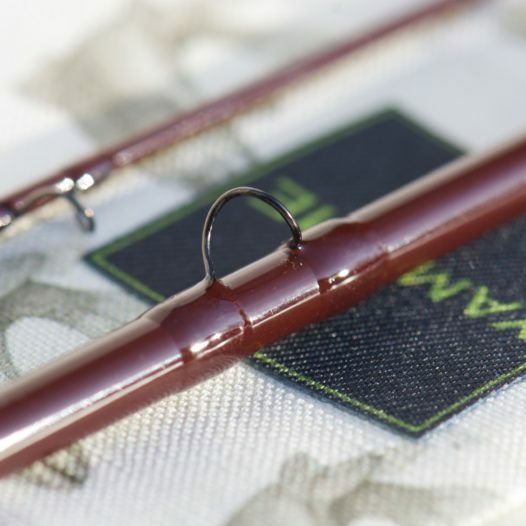 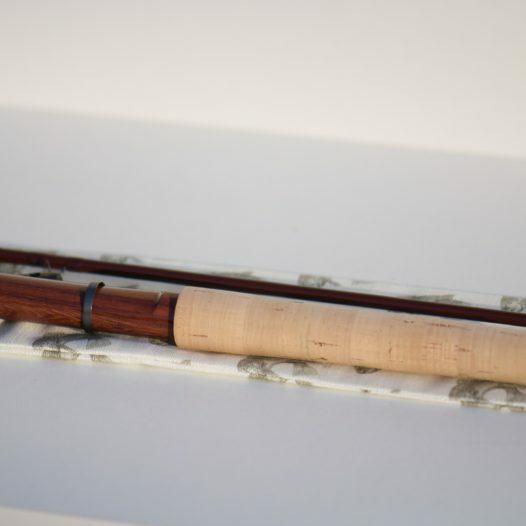 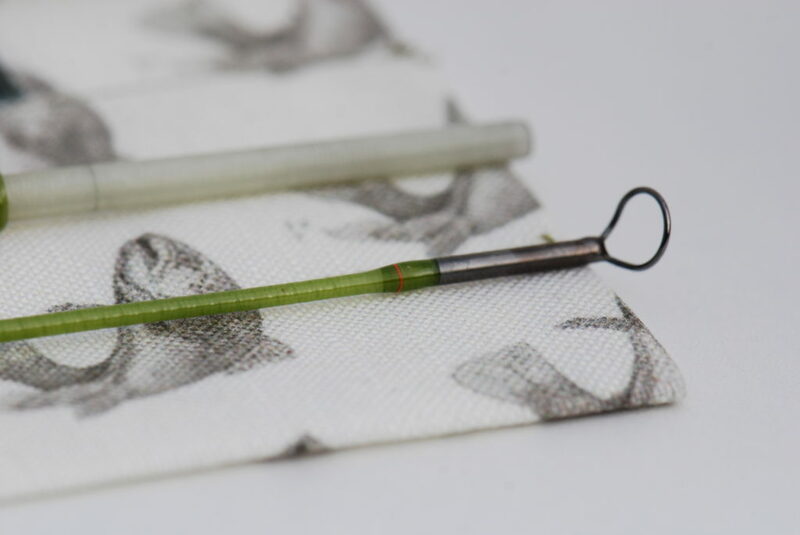 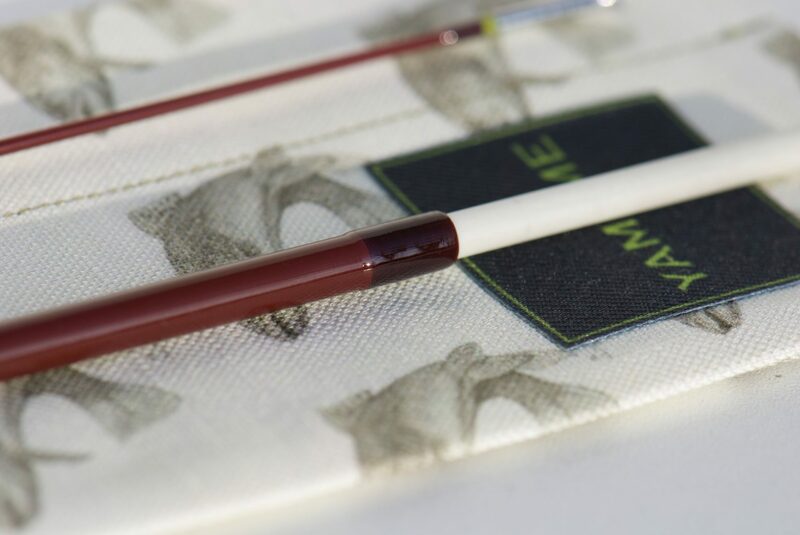 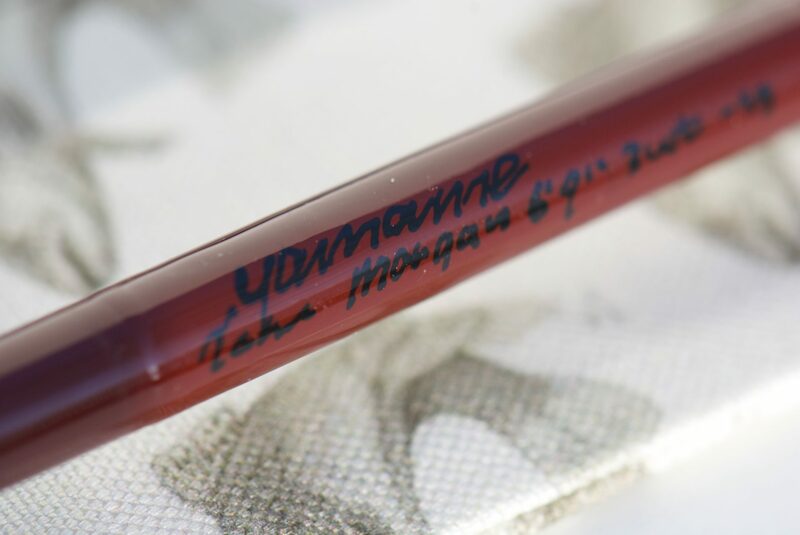 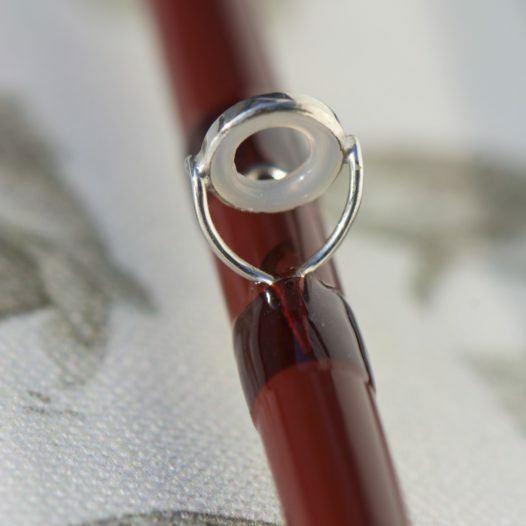 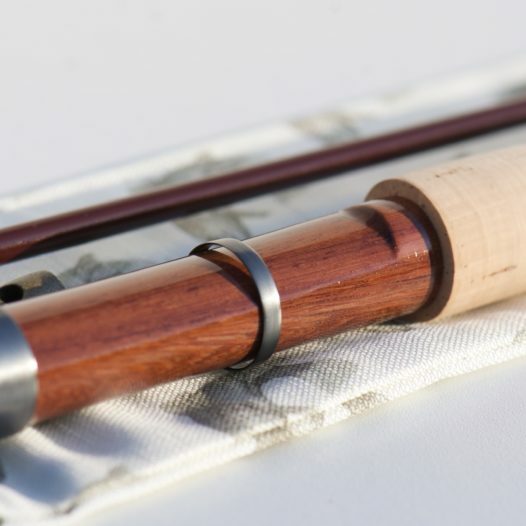 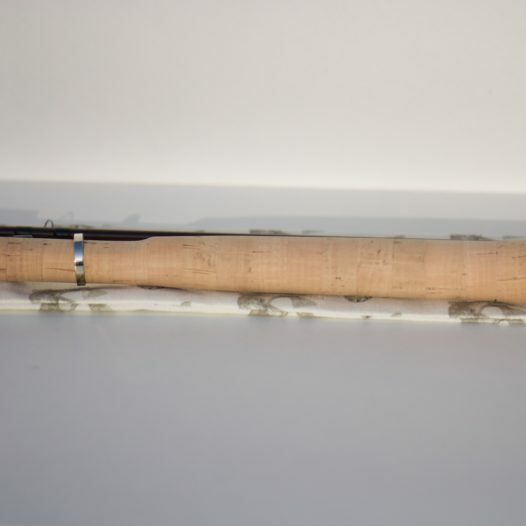 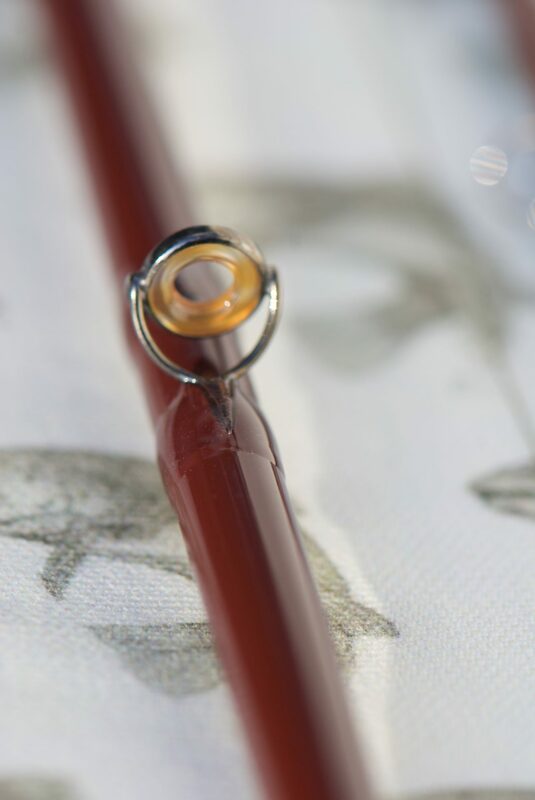 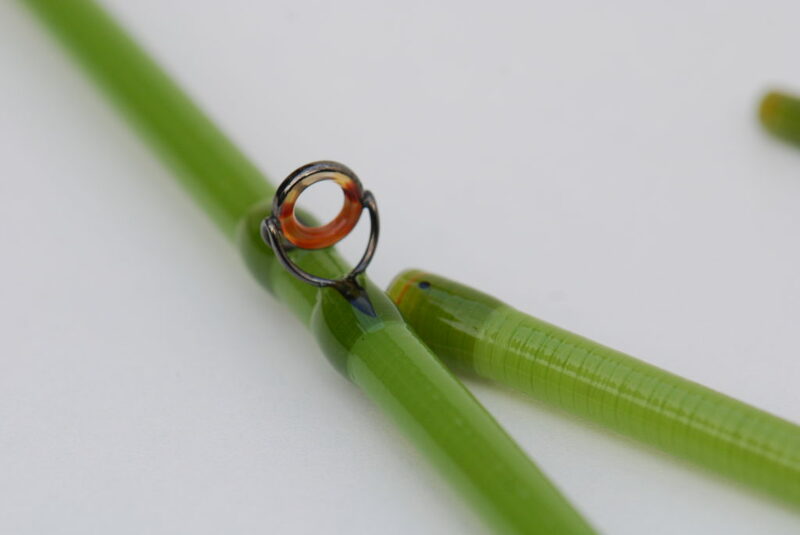 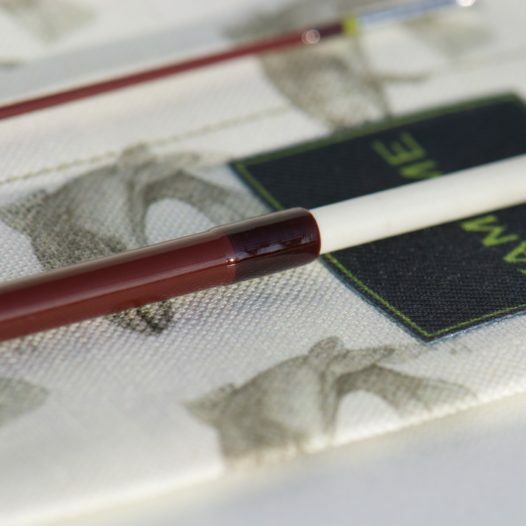 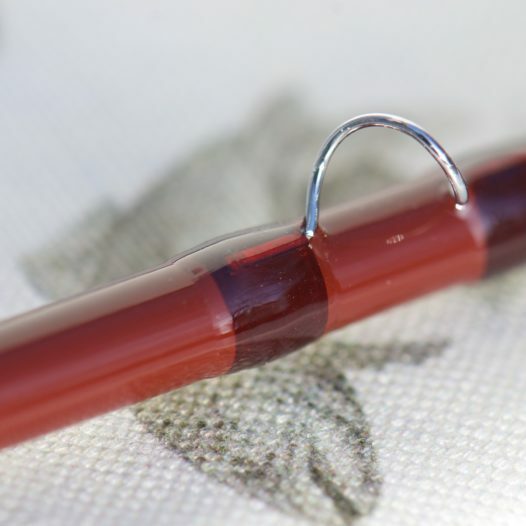 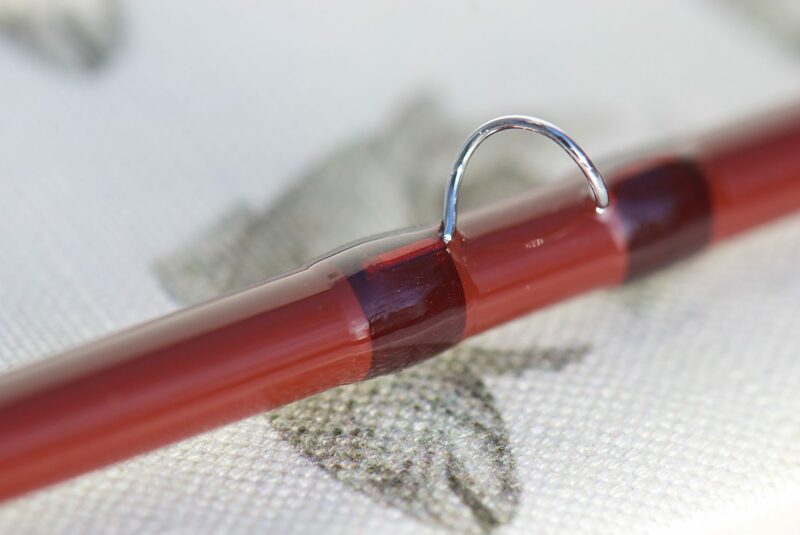 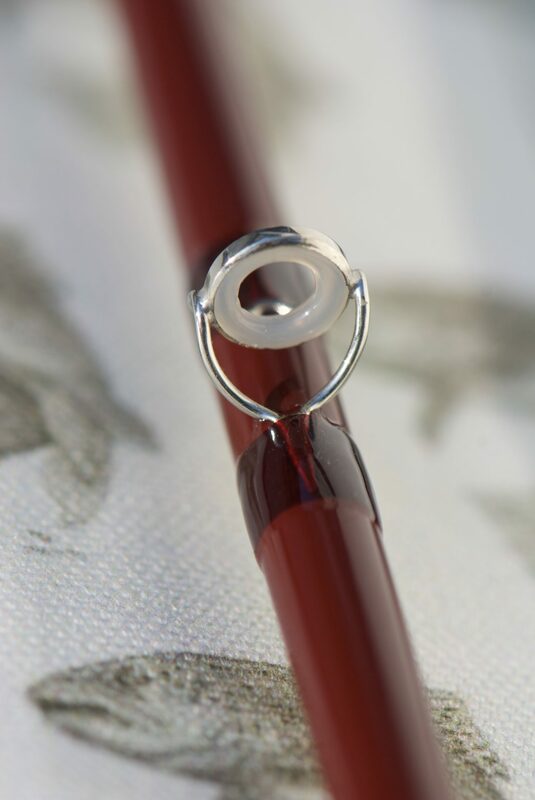 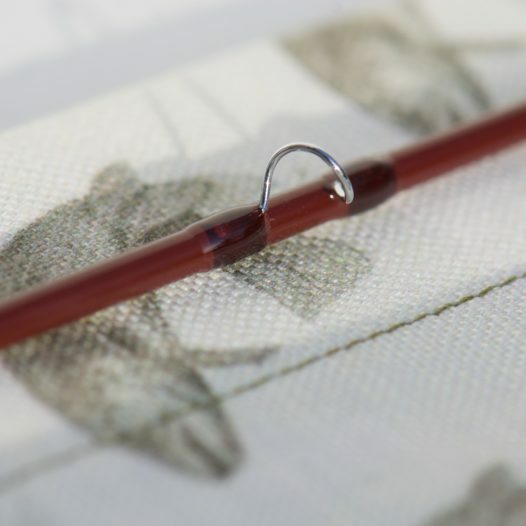 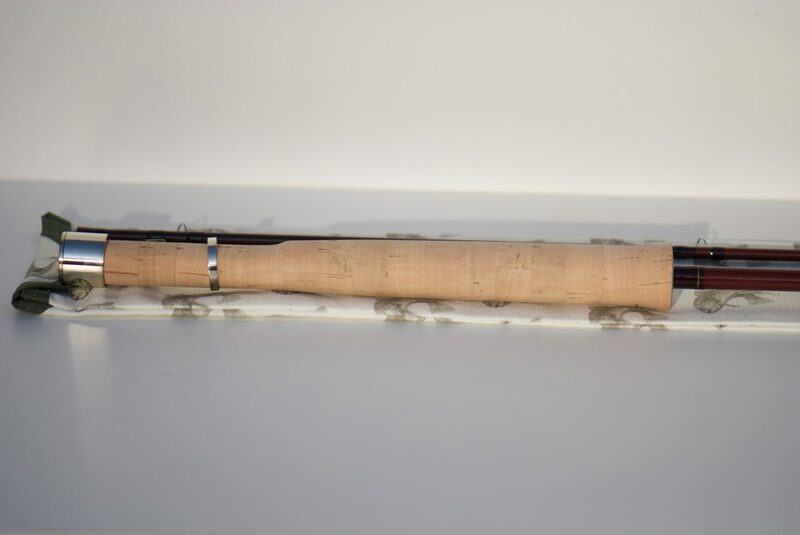 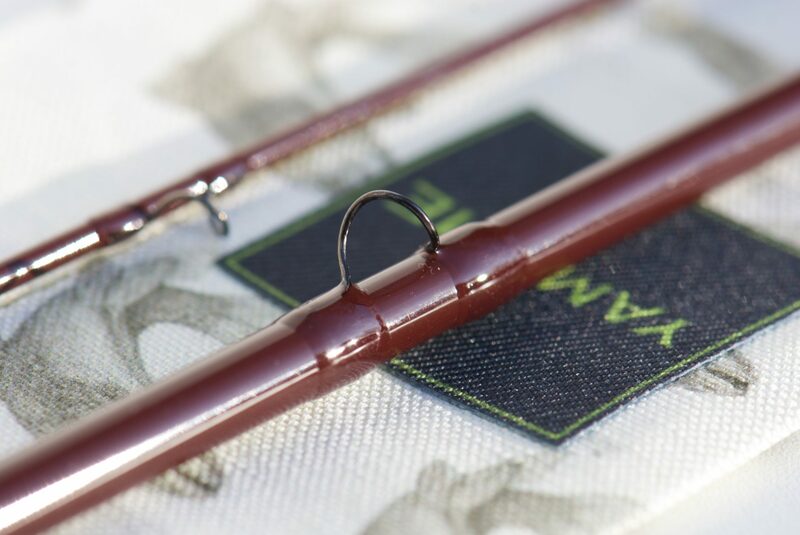 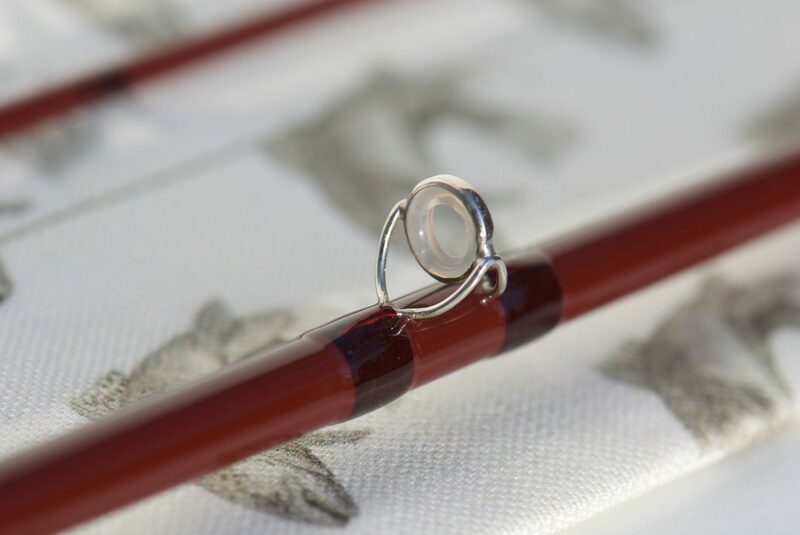 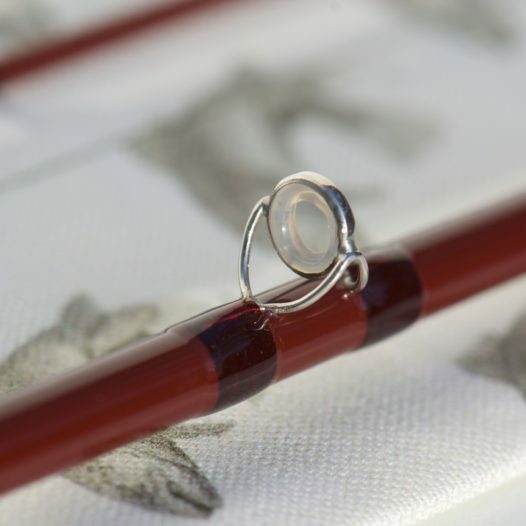 This rod is on his way to the new owner in Germany, sadly for him he has to wait several months to fish with it.